Phew! Today is Day 24, having had 3 days off since May 12. I’m generally running on fumes, but feel much better today than I have in a past few days. 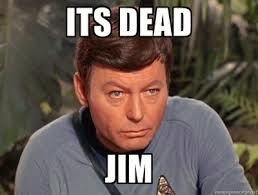 It’s dead, Jim. My phone. It’s completely and utterly dead. There was a corruption in the charging port, and it will no longer charge. It’s not been a big deal here, other than it was how I was able to chat with my husband briefly.I didn’t have data turned on anyway here, so wasn’t really able to do much on my phone except when I could catch the occasional wifi, but connecting to it at the hotel on my phone was a tremendous pain. And anyway, I’m sitting in front of a computer screen 12-14 hours a day…I’m kinda connected. But I could always use my Kindle for Droid app and make minute progress on a book. But no more. It's been a challenge not having something with which to entertain myself in the boring in-betweens. In the taxi. Waiting for the plotter. Breakfasting alone. I had to resort to extreme measures...I bought...a book. A paper book. With actual pages. In so many ways, coming to the UAE has been like going back in time. The newspaper is delivered to me every day...what!?! [Sorry for this one, Brandy] While there are lots of eco-features in my hotel, the shower head is like 8 gpm. I ADORE it. I can rinse my hair in like 30 seconds, not the standard 2 minutes. It's glorious.